1) can this phone support the nokie sms ? 2) can this phone support chinese sms ? 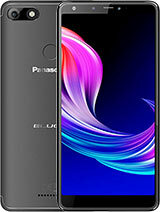 It is a good phone.Its design is excellent. It's generally acceptable phone but the camera quality is disappointing. I owned this phone for a week and decided to say goodbye. First the camera night mode is terrible, at home unable to take a nice picture as it's has a lot of blue dots even after upgraded the software. Secondly, the bluetooth came with the phone always got echo not matter how many times adjusted the volume level. Thirdly, cannot receive and read nokia picture message. In addition, the polyphonic tones are quite boring and cannot download java games. If the camera do not functions normal at night or home, what is the point having a camera phone. Not really user friendly as nokia phones. Design is superb and the bluetooth is good. (The design should get an award) After upgraded the software at the Agent, the photos and the systems runs better. Overall it's a great phone and worth buying. how much for panasonic bluetooth headset for this model:EB-BHX70? the phome is ok....one thing that bothers me is whn you type a no while txting, u have to add another step like pressing on the menu key or something... why cant it be like tyoe abcd then no 1, instead its abcd then press a key to get to the nos. Is a very prettey phone ,good phone! does the battery hold long? ?is it nice?any problems? You probably can find it on P-Square, Panasonic showroom, on ITC Roxy Mas Ground Floor. 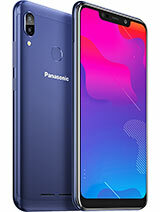 When I buy it on Saturday (Jan 10), Panasonic Indonesia was just launched it on Friday (Jan 9) so they only had 5 unit and was sold 3 when I was there. Probably they haven't restocked again, but I think it's still rare for Panasonic clamshell phones to be sold by phone dealers. 1) The phone can store up to 200 messages, shared between Inbox and Outbox. You can also move messages from the phone to the SIM and vice versa. 2) The quickest way to see the message sender is to press Read to read the message, then press the up key twice. This way you don't need to scroll down through the entire message to get to the sender screen. 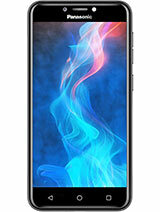 Great design, great features with everything I wanted let down by poor battery performance. Only lasts 2 days on average (was getting full week on previous T68) and too scared to use bluetooth otherwise won't even last full day. Why can't you buy a 12V adaptor to at least overcome the problem? how many message can x70 keep?? Well, after playing a little bit further, I have suggestion in reducing the blue dots. Activate the Twilight options. It will give you a brighter snapshot and reduced the dots, as I stated before that the blue dots appears when targeting objects in a dim surroundings. I assume it will be at its best to shot outdoor scenes daylight. Well, I've picked my phone this afternoon... overall, this phone has very good functionality and features. It's compact, pretty, good signal reception, plenty of features, large memory, and I love the flashing light from the external LCD when there's incoming signal. The menu is quite well-organized although still a little bit messy compared with well-known phones (Nokia, SE, Siemens). But I must say I'm totally disappointed with the camera. Aggreed with Teng, the camera has lots of blue dots, it feels like watching your target in the shower of blue rain unless you're targeting objects in very good lighting. The camera is the only major flaw of X70, IMO. If you're into the camera functionality, I suggest you better get Samsung or Sony Erricson. Even when I pointed at a target, the target will be blurred away. 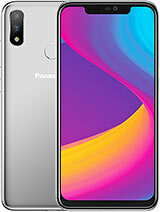 But then after I read the instruction book, it says that X70 using a CMOS camera so the quality of the snapshot can be decreased when the temperature of the phone increased. The using of light on keypad can cause your phone to be hot, so I turned it off and let my phone rested for a while, and then trying to aim some objects again.. the blue rain is decreasing but still lots of them. And I'm totally cheated about the display's size. When it said that X70 has the same display size with GD87, it's actually smaller. My second unsatisfaction, same as Teng, is for the SMS' inbox list. Instead of displaying the list of the sender, X70 displays the messages so we need to read the whole messages to find out the sender. At first I thought I can change the settings this, but I just can't find it anywhere. 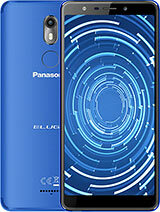 I must say that one aspect that keeps me into X70 is the design, compared with the other clamshell phones and the name Panasonic behind it. It's still a very good phone, but I suggest you better choose the others for camera. Yay!! Finally, X70 is sold in Indonesia!! And the price is competitive to Z600 which has been launched first and cheaper compared to Samsung V200. I'm going to pick it today or tomorrow. Finally! can't decide which is better..x70 or e700?which one shall i get huh? 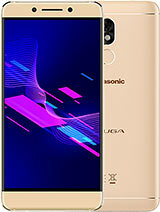 Total of 444 user reviews and opinions for Panasonic X70.